Come celebrate with us on Saturday, September 17th! The White Zombie will be in the house! 538 hp 1972 Datsun 1200. Record holder NEDRA Pro Street class - 10.2 @ 123 mph 1/4 mile ET, 100 miles street range. First street EV to run a 10 second 1/4 mile set in 2010. Leases allow the Federal Tax Credit to be used to effectively reduce the sticker price of the car. There are options below $100 per month! Pre-owned EV's are becoming readily available. 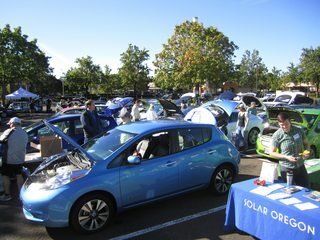 Learn what to look for from owners, OEVA members and dealers that specialize in pre-owned EV's. Solar Power is a great way to power your EV. SUNSHINE is the new Gasoline! Driving an EV is the best way to appreciate many of the benefits of driving electric. Add a comment when you register indicating the vehicle(s) you'd like to test. This will help us get everyone behind the wheel of their favorite EV. Wilsonville Chevrolet will be giving away a Bosch Power Max L2 EVSE. Stop by and see them to enter and while you're there, test drive a Spark EV or the new 2017 Volt. Vote for you favorite EV at the KINK FM booth and you could win a gift card from Sonic Drive In, a fantastic gift basket from Starbucks, OEVA hats and T-shirts, and ??? Find "Coney", the Sonic mascot, wandering around and score a coupon for a free limeade! 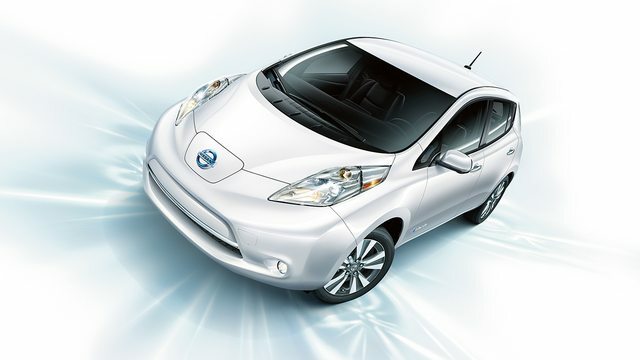 With available 30 kWh battery, the LEAF can now take you 107 miles (EPA rating). Drive one and you'll understand why you see so many on the road! the 2017's are available with a 50% bigger battery upping the EPA range to 114 miles! Everything you'd expect from BMW, with loads of tech including carbon fiber to reduce weight. With inherent BMW performance and undeniable agility, this is an electric vehicle that will change the way you think about driving. The unprecedented use of strong yet lightweight Carbon Fiber Reinforced Plastic (CFRP) makes the BMW i3 one of BMW’s lightest vehicles, contributing to both performance and efficiency. The BMW i3 is truly as innovative as the technology and renewable materials it contains. Include a comment to Test Drive the i3 when you register and we'll save you a spot! 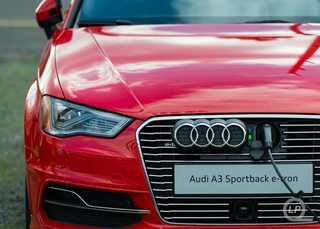 Include a comment to Test Drive the A3 e-tron when you register and we'll save you a spot! There are currently 170 attendees registered. Registered attendees report 1,250,501 electric miles driven.